Containers on Grand: Thinking Outside the Box - Downtown Phoenix Inc. Taking a rough-looking 740-square-foot metal box and modifying it into a sleek, comfortable living space is just the kind of challenge Brian Stark loves. Brian is one-half of STARKJAMES llc, the young architecture and contracting firm working on Containers on Grand, a new 20-unit apartment complex on the corner of 12th and Grand avenues using decommissioned shipping containers. Construction on the first eight units begins this month. In 2005, an estimated 700,000 of these unused freight containers laid in stacks by the hundreds in U.S. port cities, according to the ISBU Association, a nonprofit providing resources and education on container housing. This prompted many innovators, urbanists and builders to start thinking about how to deal with this environmental hazard. Since then, recycled containers have become trendy to use as vacation homes, storage units and construction site offices. Utilizing containers as architectural elements is pretty simple – they’re cheap, plentiful, and as it turns out, incredibly strong and versatile. 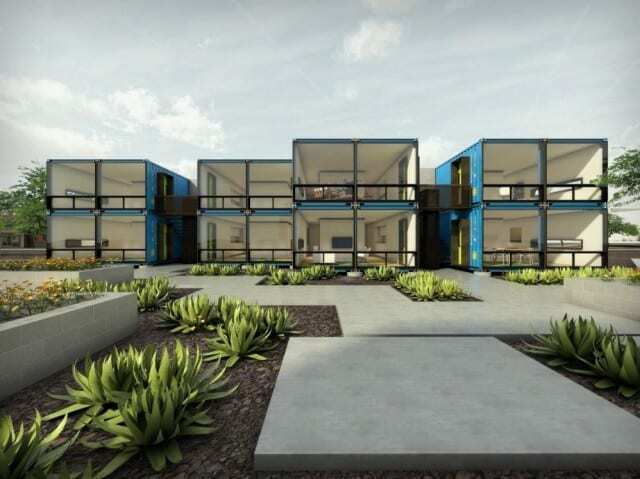 According to Kathleen Santin, one of the partners in Containers on Grand, integrating shipping containers into multi-family residential developments moved slower into the U.S. mainstream than in other countries, but she hopes this project will pave the way. 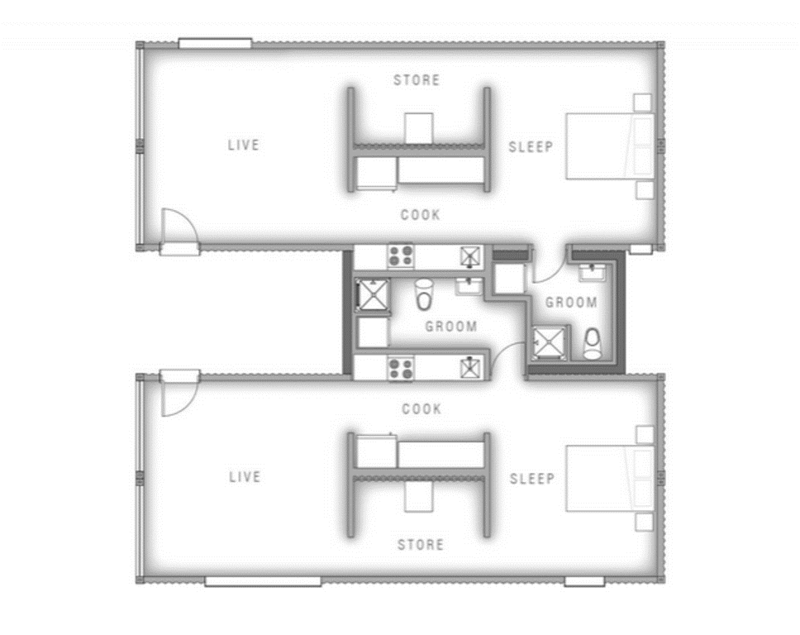 The small group of investors is pioneering the second apartment-style container development in the entire U.S., according to Santin, so this is certainly a proof of concept. The architects, Brian Stark and Wesley James, specialize in adaptive reuse projects and utilizing inexpensive materials. For this project, they designed a system and structure that allows the containers to be stacked and interlocked for optimal strength, space and energy efficiency. Construction on the first phase of the project could begin as early as next week and completed by mid-March, 2015. Rent for a one-bedroom apartment in the Containers on Grand complex will cost between $850 and $950 per month and a wait list has already started. *The original post incorrectly listed the square footage. We regret the error.